Welcome to Sriram Machinery Works. Manufacturer and Exporter of a Quality Range of Size Reduction Equipments Such As Pulverizers andCrushers. The company was founded in 1986 at Rajapalaiyam. ITC, JSW and TNPL are some of our prestigiousclients and we cater to Chemical, Power Plants and other industriesWe are backed by Expert professionals, CAD CAM designing facility and Capacious warehousing facility. We offer a vast range of Wood Shredders, Vibrating Screens and Dust Control Systems. Industrial Pulverizer, Crusher, Mixer and Mills are well known for their impeccable performance. 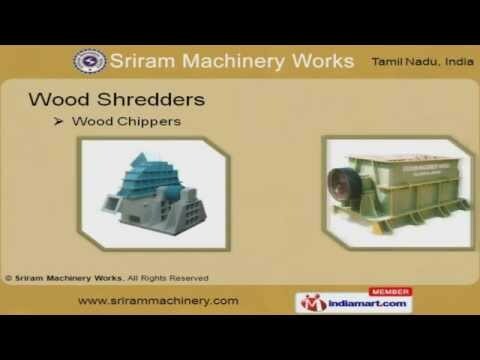 Our Wood Shredders are widely appreciated in the market. We have gained tremendous expertise in providing Vibrating Screens. We also provide Dust Control Systems that are a class apart. Pan Roasters offered by us are best in the industry amongst others.